There are those of us that will be happy to "do the right thing" and pay for what we want to download and watch. Trying to ensure the artists are paid. It is important. I have spent thousands with Apple, even though they are screwed up so much to ask for my password every time I watch anything. I am preferring Netflix for that reason. I have netflix, which works, but not anything I really want to watch. Some old Star Trek NG for now. 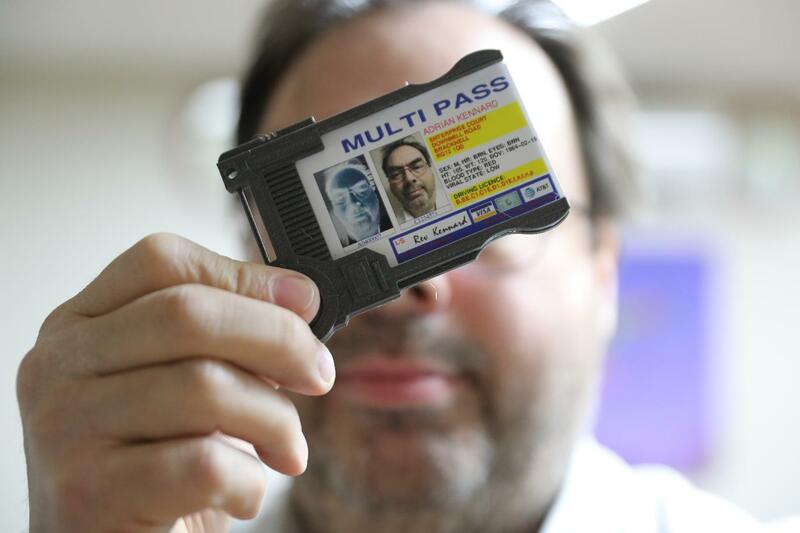 As a complete random thing I looked up "MULTI PASS" for some reason. It was a scene from The Fifth Element... And a very poplar thing with the holder in many cases on 3D printing sites and the actual "MULTI PASS" something people even sell. So I thought, what the hell, I'll watch The Fifth Element again, why not? Not on apple or netflix. If it had popped up on Apple at £5.99, I would have clicked and watched, even with the annoying re-entry of my password. The sad thing is that pirates can watch this - no hassle - no passwords - any time - no problem. I am willing to pay and they don't let me. What is wrong with this system?! P.S. the holder is this on thingiverse, and the card is a template on A&A card printing. Netflix is a closed system... either they have it or they don't. You don't have to worry about paying more. Sure it is annoying when they don't have what you want to watch. As for Apple... I don't use them for vids. Amazon - I've no idea what is so called free under Prime to watch as everything I want to is either to buy outright or to pay something to stream it. Call me old fashioned but I still prefer disc rentals over steaming. LoveFilm sucked after Amazon bought it and there's only one alternative left in the UK. The Fifth Element? No problem! I tend to buy DVDs second hand on Amazon and, so far (having bought a *lot* of discs), I've yet to receive something unplayable. Adrian's post has piqued my interest in the Fifth Element, so I've just bought it for £1.27 delivered. The downside, of course, is that it is not instant streaming / immediately available to watch, and it takes (a small amount of) time and effort to rip it once it has arrived. I don't think there's a different legal effect, but I think it is less likely that a rightsholder would pursue someone who bought a DVD (even second hand) and ripped it than someone who downloaded the same sequence of bits. Especially if they are also uploading (even inadvertently). Try ITV2. They show The Fifth Element about every 20 minutes. I actually have a copy of the fifth element on bluray. I could send it down the next time someone visits if you'd like to borrow it. Although I suspect that may count as unauthorized lending. That said I got it from ebay and although it doesn't look like a bdrw, the transfer quality is questionable, so it might be a fake anyway. It is very watchable, much better quality than a DVD. The sound is not HD but 640kps AC3 but not too bad.